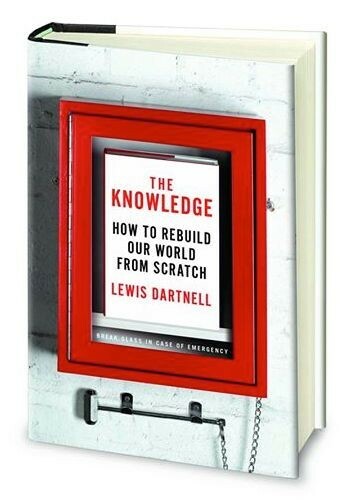 The thought experiment behind The Knowledge was to try to write a book that contains enough practical know-how and investigative pointers to accelerate the rebooting of civilisation and recovery of scientific knowledge after a global catastrophe. 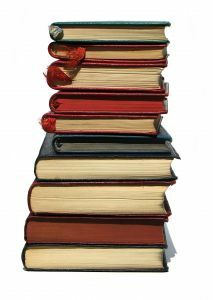 Of course, no single book – or indeed a whole, straining bookcase of tomes – could possibly contain the vast expanse of human knowledge today. But earnest attempts have been made in history to compile a record of all that was then known. Encyclopaedias were originally written as compendiums of all the information an intellectual ought to remember (the word means the ‘circle of learning’, or a well-rounded education). By the seventeenth century, though, with the exponential explosion in knowledge yielded by methodical scientific investigation, it became clear that no longer could one person possibly retain all that was known, and the emphasis shifted to offering a summary of current knowledge for reference purposes. But encyclopaedia compilers of the mid seventeen hundreds also appreciated far more acutely than we do today the fragility of even great civilisations, and the exquisite value of the scientific knowledge and practical skills held in the minds of the population that evaporates away like morning dew once the society declines. Denis Diderot explicitly regarded the role of his 1751 Encyclopédie as serving as a safe repository of human knowledge, to preserve it for posterity in case of a cataclysm that snuffs our civilisation as the ancient cultures of the Egyptians, Greeks and Romans have all been lost, leaving behind only random fragments of their writing that happened to survive. The intention was that the encyclopaedia becomes a time capsule of accumulated understanding, which would be persist as long as the book survives, protected against the erosion of time. In this way, the true worth of such a writing effort would only actually be fulfilled by such a widespread catastrophe. This, then, was the birth of the notion of an idealised or ‘total book’ (or at least a bookshelf of volumes) that explains systematically all that is known and the interrelationships between different topics. Eighteenth century encyclopaedia compilers were also conscientious to include details of the experiments that demonstrate these principles, as well as craft skills and practical know-how. In this way, such a perfect encyclopaedia would present a condensed quintessence of all other written material on the planet, all arranged logically and cross-referenced, just as an omniscient being might possess in his or her memory. Such an overwhelming mass of material could never be retained at once or even comprehended by a single individual mind, but anyone could, at least in principle, educate themselves on all they may ever need to know by reading this one book. Leibniz went even further, arguing that you could never hope to record total knowledge in the first place, so each field of science should be reduced to its fundamental principles and provided alongside the ‘art of discovery’. In this way, all of the details can be reconstituted over time. This is a clear articulation in 1680 of the concept of the kernel of knowledge that expands under investigation, which The Knowledge explores in the Introduction.